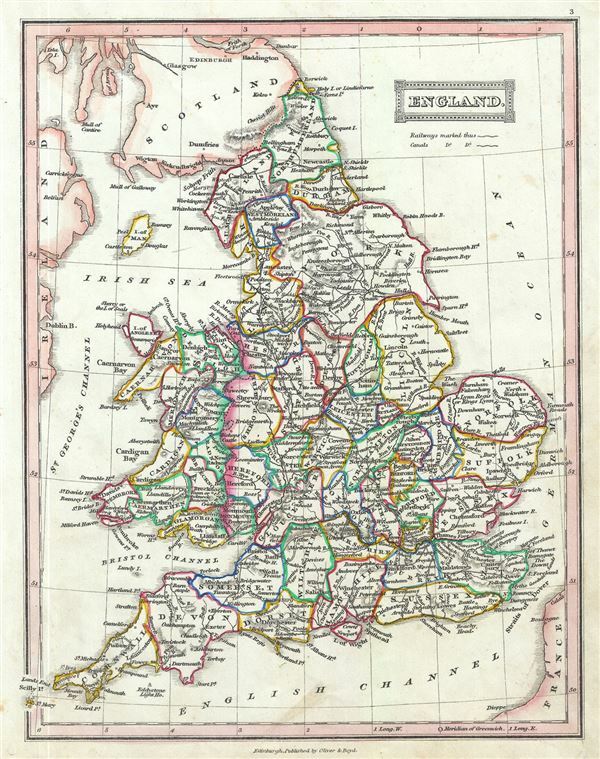 This is an attractive 1845 map of England and Wales by Thomas Ewing. The map covers both England and Wales from Northumberland to Cornwall, including the Isle of Man. Throughout, the map identifies various cities, towns, rivers, lakes, roadways and an assortment of additional topographical details. As this map was issued, both England and Wales were in the midst of the Industrial Revolution wherein much of the rural agricultural population relocated to urban centers. This map was published in 1845 by Oliver and Boyd as part of Ewing's New General Atlas.